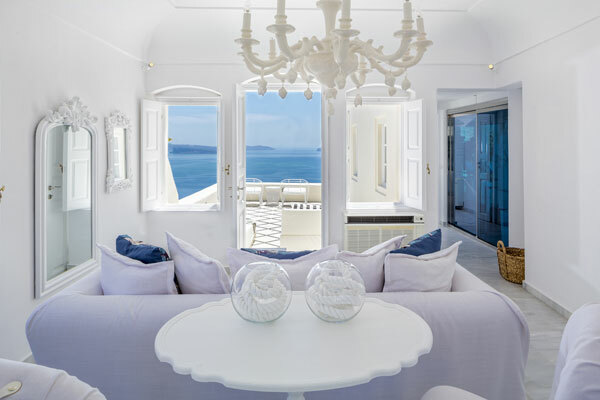 Small Luxury Hotels of the World (SLH) has announced Canaves Oia Suites (pictured) in Santorini, Greece, as Hotel of the Year at the SLH Awards 2018. A blissful blend of island tradition and architectural inspiration, the hotel has been described as “very nearly perfect” and is one of 17 hotels in SLH’s 500+ strong portfolio of independently minded hotels that were honoured with top distinctions this year. The awards highlight excellence in everything from dreamy designs and breathtaking suites, embracing social media, the environment and the local community. Many of the categories were voted for exclusively by members of SLH’s loyalty program, INVITED, and luxury travel agents. These included The Sukhothai Shanghai (City Hotel of the Year), Blanket Bay in New Zealand (Country House Hotel of the Year) and Canaves Oia Suites (Resort Hotel of the Year), which was then put forward for the ultimate recognition by SLH’s panel of experts – Hotel of the Year. Ka’ana Resort in Belize received the Caring Luxury Award based on its outstanding green credentials, its use of local amenities and its contribution to the local community through the creation of scholarship funds, bathroom rehabilitation projects and an environmental program. Alvaro Herrera Gomez, Front Office Manager at Hacidenda Zorita Wine Hotel & Spa in Spain was awarded the Hotel Hero Award, thanks for demonstrating bravery and dedication to guests during difficult times. Olive Boutique Hotel in Puerto Rico received the Most Instagrammable award based on its beautiful Instagram (@theoliveexperience) shots featuring accentuating blue hues and neutral colours that perfectly communicate the luxury feel of the hotel. Canaves Oia Hotel in Greece was awarded Best Hotel Video for “Canaves Oia – Where Time Stops” showcasing a unique cinematic style and engaging narrative that depicts the hotel as a timeless holiday retreat. SLH’s Mystery Inspectors also had their say based on their experiences whilst staying at each and every one of SLH hotels over the last 12 months, with Hotel Villa Carlotta in Sicily coming out top based on a combination of guest reviews, inspection scores and overall quality rating.